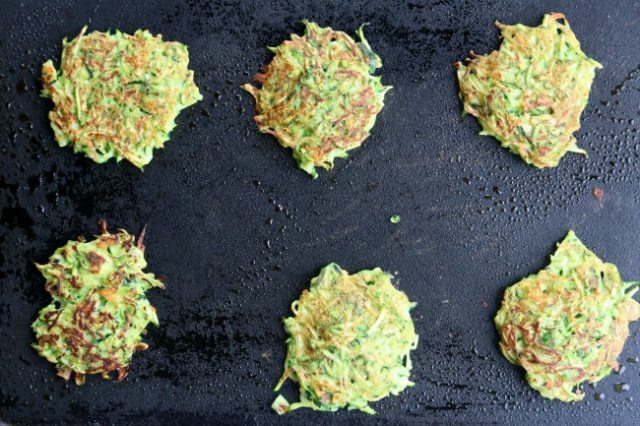 I came up with this recipe for Zucchini Fritters on the fly because I’d had a hectic day and before I knew it, it was almost dinnertime. I hadn’t even thought about what to make. I had a few lingering zucchini in the house and the rest of the ingredients were already in my kitchen. I presented them as “pancakes” and they were an immediate hit. Gotta love any dish that you can sneak veggies into! 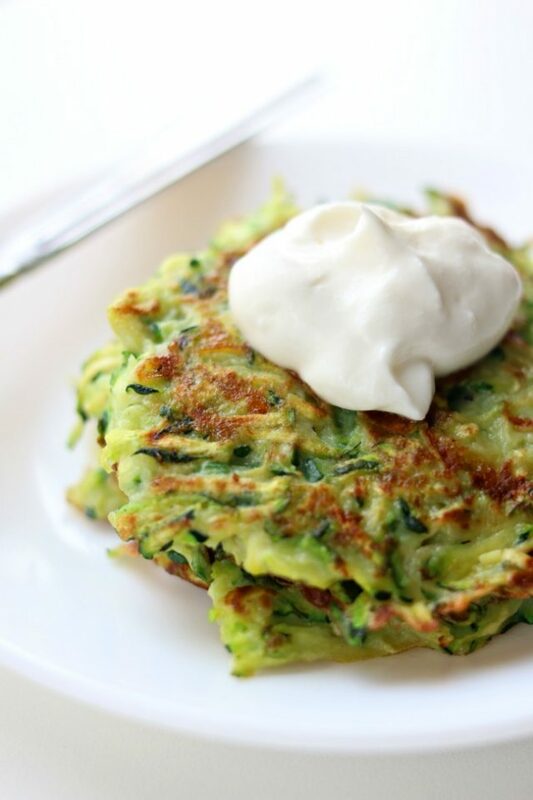 These Zucchini Fritters tasted amazing on their own but a dollop of sour cream makes these really delicious. I’m serious, you really need to remember the sour cream. 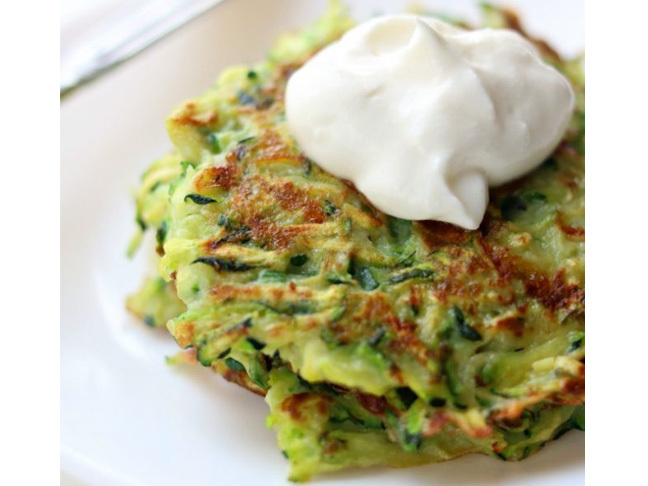 Ready to whip up your own Zucchini Fritters? Follow my recipe, below. Just tell your kids they're pancakes. Step 1: Wash the zucchini and trim off the ends. Grate the zucchini. (I chose to grate mine with the small grater). Step 2: Remove the moisture. Place the zucchini in a colander and then place the colander on top of a bowl. Sprinkle the zucchini with the salt. Gently toss the zucchini. Place a plate or some sort of weight on top of the zucchini. This will help release the moisture. Let the zucchini sit for 10-15 minutes. Remove the weight and press the zucchini with a clean dish towel to squeeze out any excess moisture. Step 3: Place the zucchini, flour, Parmesan cheese, garlic, egg, lemon pepper, and green onions in a bowl. Stir until well combined. Step 4: Heat a pan over medium high heat with the olive oil in the pan. Step 5: Scoop 1 1/2 tablespoons of the zucchini mixture into the pan and let cook for 3 minutes on each side. You can use a pancake turner to flatten the fritters. This will help them cook evenly and get crispy on each side. Step 6: Place fritters on a plate and top with a dollop of sour cream. Enjoy!